The Tibetan Mastiff is a courageous Molosser breed with quite the interesting history. Dating back as early as 1100 BC, they are one of the most ancient guardian breeds. 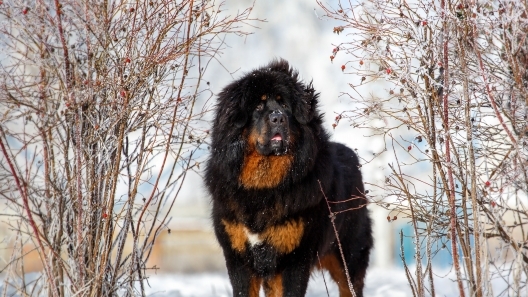 You can tie the heritage of almost every large dog breed in the world to the Tibetan Mastiff, including breeds like the English Mastiff, Bernese Mountain Dog, and Anatolian Shepherd. This breed was a traveling companion of the Hun army led by Attila against the Eastern Roman Empire in the mid 5th century AD. The Tibetan Mastiff continued to be a vital part of security for the military camps during this campaign, as it had done for so many centuries. 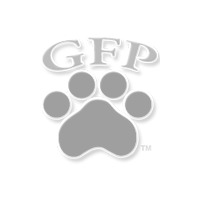 This dog breed has been a recognized member of the AKC Working Group since 2007. The Tibetan Mastiff is a Guardian Dog that has been charged with the security of a herd, village, or family for over 3,000 years. They are strong-willed, protective dogs and will be reserved with strangers. Make sure they are trained and socialized at an early age, as this is of great importance. They can make great family dogs, but only when an experienced dog owner understands the importance of establishing rational Alpha leadership with his dog. This breed is not ideal for apartment living. The Tibetan Mastiff will enjoy a large area to roam and a cool environment. Cooler climates are preferable as this breed does not do well in hot weather. They are okay with some alone time since they are a very independent-minded dog breed. This dog is a powerhouse with a good deal of intelligence, but can also be stubborn at times. The Tibetan Mastiff is not recommended for a novice owner. Tibetan Mastiffs are usually somewhat healthier than other large dog breeds. One concern is joint health because of their size. Many of these issues can be somewhat ruled out with genetic screening of the parents. 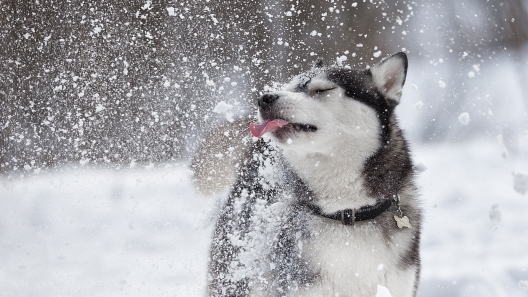 This dog breed can use a good daily brushing as they have a very thick winter coat and will shed quite a bit. Get your dog used to tooth brushing and nail clipping early because this is a breed you do not want to struggle with when it is full grown. For a large breed, the Tibetan Mastiff has a pretty high energy level. They are very playful with their family and can be quite excitable. Be sure not overexert this breed, since they will tire more quickly than a sporting breed. The Tibetan Mastiff will stand from 24 to 30 inches tall and weigh between 75 and 160 pounds. This dog breed generally lives 10-12 years. The Tibetan Mastiff is a giant breed and part of the working group of dog breeds. They are highly intelligent, independent, and are also protective. Here are 3 things to know about Tibetan Mastiffs.